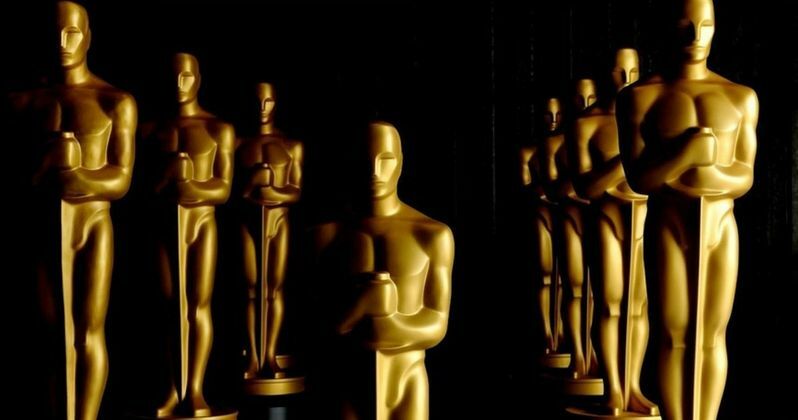 Six years after The Academy Awards expanded the Best Picture category up to a possible 10 nominees, The Hollywood Reporter reveals that the Academy of Motion Picture Arts and Sciences is considering a move back to just five Best Picture nominees. While nothing is set in stone yet, the site reports that "a significant fraction" of the 6,000-member Academy are pushing for the move. An official proposal for the shift has not been issued yet, but it could be brought up during the Academy's next governor's meeting on March 24. Here's what one unidentified source had to say. "They tried it, and it really didn't do us any good." The switch to a possible 10 Best Picture nominees happened in 2009, after critically-acclaimed blockbusters such as The Dark Knight and WALL-E were excluded from the Best Picture race, which caused a significant outcry among many fans. During the 2010 telecast, beloved blockbusters such as Avatar, the highest-grossing movie of all-time, The Blind Side, Up and District 9 were Best Picture nominees. They all lost out to Best Picture winner The Hurt Locker. The 2010 and 2011 telecasts featured 10 nominees apiece, but the rules were changed to allow anywhere between five and 10 candidates. There were nine nominees for the 2012, 2013 and 2014 ceremonies, with eight Best Picture nominees this year. An Academy spokesperson wouldn't comment on the specifics of the March 24 meeting, but, after the ratings for this year's telecast were down 15% from last year, and the lowest since the 2009 telecast where The Dark Knight was snubbed, there will likely be some big changes in store for the 2016 Oscars. The site's sources claim there is "fury among the governors" regarding both the quality and length of this year's Oscar telecast. However, for those who want to go back to the five-nominee Best Picture system, there will be another group who will counter this proposal, fearing the ratings will sink even lower. While the Academy started embracing blockbuster fare in the first few years of the 10-nominee system, they eventually started sliding back to honoring smaller, independent films. American Sniper, the top-grossing movie of 2014, was the only Best Picture nominee this year to have a wide release. Do you think the Oscars should stick with their current system? Or should the switch be made back to just five Best Picture nominees? Let us know what you think below.